Cranky Litwoman Seeks Same: Independent Presses & Media – Now more critical than ever…. While going through my many boxes of memorabilia, I found a box of business cards – the place where I’ve managed to keep most of the cards that reflect my various careers and jobs. The career that spanned nearly 25 years was working in the alternative independent book industry in wholesale, distribution, and bookstores, in functions such as seller, buyer, editor, marketer/promoter, reviewer, project manager, and writer. There are days when I really miss working with books and publisher from those days. I miss the daily being in the know of new topics, titles, authors, and publishers. I miss being part of the pulse of the generally left and radical alternative and often-marginalized viewpoints and voices seeking to be visible and heard. I miss perusing on a regular basis many different points of printed visions. In my current geography, I also don’t have easy access to a vibrant independent community-based alternative bookstore in my neighborhood. As my professional career transformed more directly into adult education, I lost track of that book industry world as other demands occupied my attention. Now, more than 10 years later, I know the terrain of independent publishing and media has shifted greatly due to corporate aggression that decimated much of the independent bookstore and publishing scene. The growing use of social media and the Internet has also affected and changed how writers and their publications become visible, and in different ways. I remember enjoying participating in the heyday of feminist, lesbian/gay, socialist, race-conscious, leftist, literary, and many movement writers, publishers (books and magazines), and bookstores (circa 1970 – 2000). And I take comfort knowing that while there was some definite decline, those writers/publishers/bookstores never entirely disappeared and are now transforming and resurging. And I want back in! In recent months, and most dramatically over this past weekend (post-inauguration and women’s marches across the globe), “the media” and “the press” – whoever this large and faceless crowd is – has become the new foil for THOTUS. * He wants the Press Corp out of the West Wing and says they are totally dishonest and do nothing but lie (according to him, all of them – except for Fox News as far as I can tell). THOTUS claims he hates to tweet but does it because he says it’s the only way to directly talk to “the people” and to counteract the “dishonest media.” (I won’t begin to count all the ways that he and his press secretary and all the people around him have consistently lied since he announced his candidacy.) But THOTUS works the media like a puppet. He’s creating so much diversion and change of topic it’s hard to keep up. Bellowing inauguration numbers ignores issues raised by the women’s march. It’s diversionary. He claims millions of people vote illegally so we look away from the Texas lawsuits about voter suppression. Talk of Russian intervention in the election has all but disappeared from the conversation. THOTUS tweets late at night so that’s the first thing people wake up to and becomes the focus of the press. Each new action deflects from that last thing in such a way no one can go in-depth on any topic. Historically, we all know there always exists intentional misinformation and disinformation in press or media. The corporate media generally keep us focused on fluff and entertainment and scandal. With the Internet, we are seeing a groundswell of so-called news sources from social media whose sole purpose is to create hysteria and disinformation, regardless of one’s right or left position. Melissa Zimdars, assistant professor of communication & media, has compiled a False, Misleading, Clickbait-y, and/or Satirical “News” Sources to guide us. And while the major media sources have their undies in a bunch about this media war, I realize that THOTUS is not entirely wrong about how the press is problematic – though my reasons for bringing this up are far different than his. Whether we’re talking about TV, radio, social media or newspapers, magazines or book publishers, major media outlets have always controlled the national conversation on many levels—and they are (and historically have been) exclusionary and/or elitist. What they DON’T talk about or focus on is more telling about their biases and damaging to our ability to know what’s fully happening. These main sources of news or literature, in their quest to be neutral, basically are not neutral at all. They guide and select what topics to discuss or what events to highlight. In so many cases, while they use the First Amendment as a shield, they in fact do not always get to the core of an issue or ask the right (salient) questions or highlight the main problem. Major TV/radio corporate media outlets generally represent their advertisers and corporate sponsors. In that way, they may not dig to the core and don’t always ask the hard questions. Sometimes the print media with their column inches can go a little into more depth, but even then, they can misrepresent or misinform. They want to catch the public’s eye and in doing so often only skim the surface with banality rather than diving deep into an issue. As a result, our collective attention spans can usually only tolerate sound bites and headlines. It has become harder for many of us to concentrate, listen deeply, think critically, and debate thoughtfully. But we know all this – so why am I going on about it. Blah, blah, blah – every time I get to this part of my essay I get stuck and stop. Focus, Mev. Get your eye back on the ball! What am I really trying to say? And so I circle back to the independent media – specifically print publishers and magazines. I’m thinking nostalgically (and hopefully not too romantically) about a vital organizing movement that emerged in the 1970s and was quite robust until about 2000. I worked for Inland Book Company— a commercial wholesaler in the US that specialized in books and magazines published by independent and progressive publishers— from 1985 – 1993 While there, I worked with a large array of publishers and bookstores that made visible and available writers and viewpoints. These outlets covered topics such as ecology and sustainable development, organic gardening, peace studies and nonviolence (anti-war and military), new age and/or pagan spiritualities, world religions (including Jewish presses, Buddhism, and more), socialism, anarchism, theater, art, hidden histories, multi-cultures, alternative medicines (e.g., homeopathy, aromatherapy, etc.) and health and drugs (marijuana), literature and poetry and drama, human rights, political and economic theories, and more. Perhaps influenced to some extent by City Lights Bookstore and the Beat poets of the 1950s and ‘60s or Monthly Review Press or numbers of other anti-establishment published visions of the 1950’s and 60’s, independent and progressive presses (and the bookstores that supported them) transpired to speak against the runaway capitalism, debilitating oppressions, Cold War repression, and imperialism. They put forth alternative visions for what the U.S. and global nations should/could pursue. They were informative and provocative. While at Inland, my experience of working with independent and progressive publishers and bookstore was enlightening and inspiring and even radicalizing. Many of these presses can still be found in the Alternative Press Index or reviewed in Independent Publisher or through distributors such as Publishers Group West or, yes, even still in independent bookstores. While several general audience independent presses did make some attempts to include writers from many identities, they typically represented white and male and straight writers. While those publishers did the best they could with what they had—for most of these were labors of love with a dash of righteous passion — many voices were still not heard. There are still some feminist and/or lesbian presses that persist and plenty of start-up new publishers and only a handful of women’ bookstores located around the country. It’s more important now than ever that we support them. Similarly, gay and lesbian topics were largely not included in het-stream publishing and bookstores as well. I’m not as familiar with specifically gay men’s publishing history except in ways that it intersects with lesbian publishing (see previous paragraph), but I do know there were many gay bookstores and publishers. The emergence of Lambda Literary in 1987 identified and celebrated lesbian and gays books from both independent and het-stream publishers. More trans and queer publications have emerged since the 1990s as they became more visible and vocal communities. Race also proved to be a determining factor in publishing and bookselling as many voices of people of color were kept outside white-stream publishing. Black, Hispanic, Native-American, and Asian-focused and/or international presses such as Africa World Press, African American Images, Kitchen Table: Women of Color Press, Arte Publico Press, Cinco Puntos, Redbone Press, and many others filled the void with voices not often represented by progressive or independent presses. Here’s the simplified Cliff Notes version of what happened next— specifically to women’s presses and bookstores (and many other independents as well): Major publishers started printing some more of these books sometimes co-opting writers discovered and made successful by small or independent presses. Massive chain bookstores (and amazon.com) placed themselves in neighborhoods in direct competition with well-known independent booksellers. Because the chains had better buying power from publishers and distributors, the independents couldn’t financially compete so eventually went out of business. In some cases, those chain bookstores would make big buys of successful independent press titles, then return and not pay for those books, effectively putting smaller publishers out-of-business or in deep debt. So, what am I trying to say…. I’m under no delusion that independent or small presses and bookstores necessarily mean they are progressive or culturally aware of people and experiences on the margins. But historically, this is where a lot of progressive left voices and disenfranchised viewpoints have lived and thrived. Progressive writers, or those speaking from repressed or marginalized communities (women, lesbians/gays, people of color, poor, workers, politically left activists and other others) have found recognition largely through small and independent presses in turn stocked and promoted by independent locally owned community bookstores. What I miss most about working directly in and living with these publishers and bookstores is the clear sense of intellectual stimulation, community conversation and disagreement, relationship though discussion, inspired movement, insight, creativity, organizing, and learning new perspectives—worlds opening from experiences that I didn’t have on my own. As I finish writing this, THOTUS works to erode the First Amendment (http://money.cnn.com/2017/01/26/media/bannon-media-nytimes/index.html) while Republican state strongholds strategize to end the right to peaceable assembly (http://www.msnbc.com/am-joy/watch/states-propose-bills-to-penalize-protests-864937539864) and (https://theintercept.com/2017/01/19/republican-lawmakers-in-five-states-propose-bills-to-criminalize-peaceful-protest/). It goes without saying that essential to that is a free press. That is part of how this place, this country, this grand experiment of self-government has to work. It doesn’t work if we don’t have a well-informed citizenry, and you are the conduit through which they receive the information about what’s taking place in the halls of power. And while Obama made this statement largely to the embedded corporate-male-het-white-stream press, I say we need to take those words further. Tom Hallock of Beacon Press said this perhaps more succinctly and eloquently than what I have been writing: “In the face of these threats, publishers have urgent work to do. We must counter falsehoods and outright propaganda, defend freedom of expression, publish voices from communities that are under attack or marginalized, publish prophetic voices and books that provide the blueprints for a more just world, and practice the values that we want to see in the nation” (http://www.beaconbroadside.com/broadside/2017/01/the-work-of-publishers-in-an-authoritarian-age.html). Independent, alternative to the left, identity-based authors, publishers, and seller/promoters are vital to our public and civic discourse because they insist on the visibility and vibrancy of marginalized voices. And we need to resurrect more places – whether they be bookstores, libraries, community centers — any place where writers and readers can exchange, face-to-face, sharing, support, and discussion about ideas and opinions that have been and continue to be repressed. Oppressive, mean-spirited commercialism and greed [THOTUS and right-wing republican trends towards populism and nationalism] depends on and perpetuates racism, sexism, heterosexism, classism, ableism, and ageism. We are under attack more overtly than ever. Now, more than ever, as THOTUS and his alligator-filled swamp challenges the media and erodes the 1st Amendment, those of us who are writers and readers and who care about making our voices heard must take an active interest in looking past the male-het-white-corporate media streams. I know that there are many online, blogs, and web-based places where people write and read— #52essays2017 being one of them. 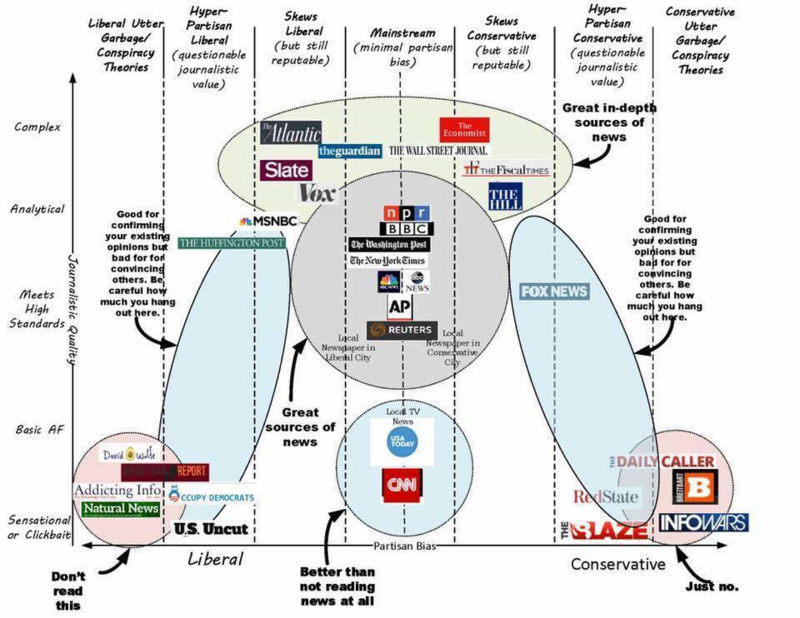 Independent media sources such as Democracy Now, Common Dreams, Women’s e-news, The Nation, Colorlines, Demos and many others maintain web-based sources of progressive news and information. But I’m a bit old-fashioned and nostalgic. So, I want books and magazines and bookstores like I had access to back in MY “old days” (the 1970, 80s, and 90s) that supported my “coming out” as a lesbian, feminist, anti-oppression activist, pagan. I want communities of salons (e.g., http://www.utne.com/mind-and-body/TheSalon-KeepersCompanion) and Learning Circles where we can explore with our hearts as well as with our minds—where we can get past rhetoric and into our humanities without shouting at and a diss-ing each other through social media. Those who control the media, control the conversation. ** I want more genuine exchanges of ideas and opinions that act against bullying and intimidation in the public/media spheres, and counteracts misinformation and disinformation. I want opportunities for civil discourse and civic engagement meant to create learning, encourage dialog, open awareness, build understanding, develop trust, and, ultimately, discover unique and collaborative social-cultural connections. I want to engage in civic discourse while honoring many cultures and disparate beliefs by actively participating in conversations that are respectful and inspiring. I want places that challenge and inspire us to learn how to have difficult conversations in order to bring new insight and re/solutions – and perhaps reconciliation. I want my radical, progressive, ethical and righteous existence to be fed and supported, deepened and challenged by a rich diet of thoughtful, creative, beautiful writing and words in many genres by writers made available through an active and broad progressive, left, literary presses and enlivened through access and discussion in interactive bookstores or community gathering places. *Tip of the Nib to my friend (Girlgriot) for creating the acronym THOTUS – Titular Head of These United States. This captures both our sentiments of not wanting to use his name – and also not being able to recognize him as POTUS45. In addition to the resources linked above, these are some resources I’ve used along the way to create this essay. They are in no particular order except by category. Generally, these distributors do not sell directly to consumers, rather to bookstores. And they are not always promoting progressive or alternative points of view. However, these are good places to see what publishers are out there and what they do. My personal preferences—based on my personal experiences with them—are Consortium, Independent Publisher Group (IPG) and Publishers Group West (PGW). Small Press Distribution, Founded in 1960, SPD wholesales literary fiction, poetry, and cultural studies. They wholesale to bookstores (60%), libraries (20%), and direct to consumers (20%). Their web site has full details on submitting to them. They carry 13,000 titles from 500 independent book publishers. While SPD is primarily a wholesaler, they do act as a distributor for many of their publishers. SPD is the only intentionally non-profit distributor. http://www.spdbooks.org.